Announcer: In the name of Allah the merciful, all praises due to Allah, Lord of all the worlds. The one God to whom praise is due forever. The one who came to us in the person of Master Fard Muhammad and raised up the Honorable Elijah Muhammad. Amen. Announcer: How do you feel? Announcer: Who do we want to hear? Q: Was Malcolm really killed by members of the Nation of Islam? Q: Can Malcolm's conversion & rebirth to Islam be attributed to one person alone, namely Baines? 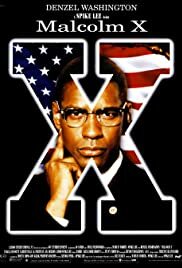 I was only familiar with the history and influence of Malcolm X before I saw the film so I can't really judge it's faithfulness or accuracy. But as a film, I thought it was great. I really like Spike Lee; he keeps things fast-paced and interesting with his camera angles and colours/lighting. For awhile after Malcolm first begins his activism with the nation of Islam, you find yourself conflicted, both respecting the man and often disagreeing with him. Lee handles it well without condemning or supporting really, just showing Malcolm's gradual transition in his beliefs. 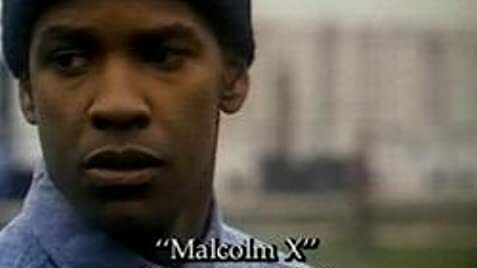 The inserted documentary footage, especially at the end, shows how Malcolm's words still relate today. Someone commented that they only watched an hour of the movie and Lee doesn't know how to tell a story but maybe if they would be slightly more open-minded, realize it's not a literal adaptation of the autobiography, and actually finish the film, they could understand that Lee does not just want to tell the story of one man but rather wants it to reflect the struggle of a race. I really enjoyed the film; it was long but never slow and definitely worth watching. 77 of 100 people found this review helpful. Was this review helpful to you?